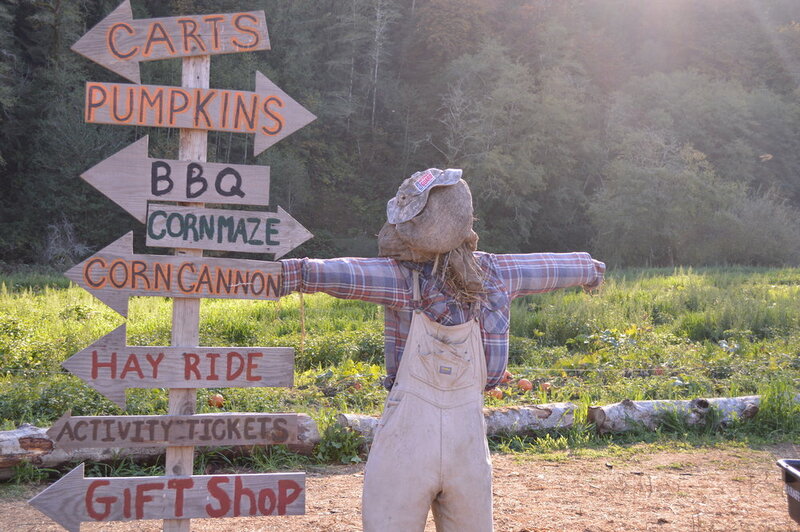 Come to the pumpkin patch and enjoy many activities such as corn mazes, hayrides and shooting a corn cannon, as well as the quirky atmosphere and adorable handmade scarecrows. The Pumpkin Patch first opened in 2010 after Ryan Mahaffey grew a patch of pumpkins which sparked the interest of their son, Ben, and his preschool class, according to Shawna. When they first opened, they had tents and about five picnic tables. Now they have a pumpkin patch building and many more tables and are growing pumpkins as needed. Jack Mahaffey demonstrates one of the fun activities at the patch, the corn cannon. A pressurized cannon that is stuffed with corn on the cob and then shot at pumpkins or your choice of an OSU flag or a U of O flag. “We wanted to start the business with the boys to show them how to start a business and the hard work that is involved and it's something that we can all do together. We thought it would be good work experience for them,” Shawna said. Preparation for the patch begins as soon as the ground is dry enough to start planting the pumpkins. Once school starts, Shawna begins the rest of the work to get the patch up and running as far as scheduling events and field trips. 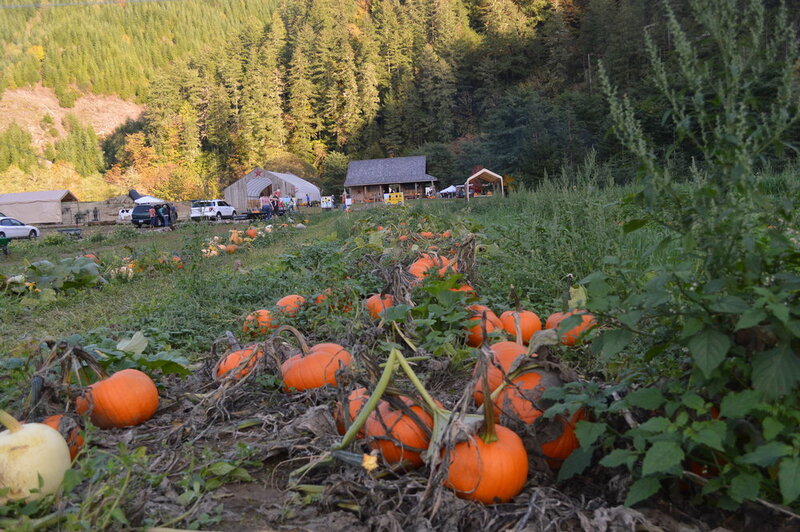 The pumpkin patch offers a large range of activities for everyone to enjoy from hand picking a pumpkin to taking a covered haywagon ride, as well as enjoying a confusing walk through a corn maze which is personally designed by Ben Mahaffey. Young pumpkin patch goers can enjoy a somewhat easier adventure through the hay maze which ends at the “molehill”, a slide that is newly built at the patch. They can also enjoy taking a shot at pumpkins with the corn cannons. Teresa Stacy is a worker at the pumpkin patch. She helps keep things running smoothly in the pumpkin patch building by weighing pumpkins to be bought and handling any purchases being made. 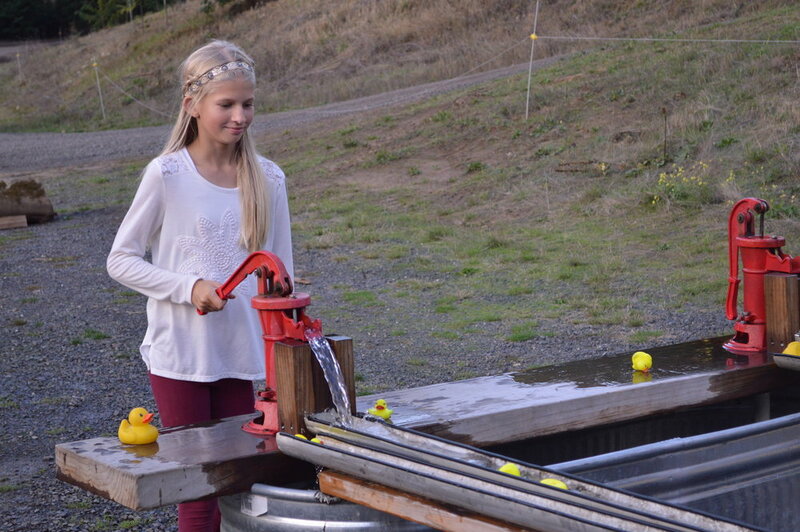 Brynne Hathorn races rubber duckies along the pipe by using a water pump system of the Mahaffey’s own invention. The patch is full of big, bright orange pumpkins that can be hand pick. Just grab a wagon and walk through the patch on a hunt for the perfect pumpkin.